LG has a bit of feather fluffing to do today, though it's not necessarily information that's going to set any world records. The Korean firm announced it's sold one Optimus L Series device every second over the last two months, helping take sales of the L-branded phones all the way to 15 million. It's a heady number except when you consider that the Galaxy S3 alone sold 40 million units in about eight months, while the L Series line comprised of the Optimus L7, Optimus L5 and Optimus L3 have been around since MWC 2012. Whatever LG needs to promote the follow-ups to the L Series, we won't object. The company plans to give the world a tour of the Optimus L7 2, Optimus L5 2 and Optimus L3 2 at MWC 2013, which kicks off Feb. 25. LG plans to capitalize on this L Series "momentum" heading into the Barcelona, so look for more preening and pronouncements. 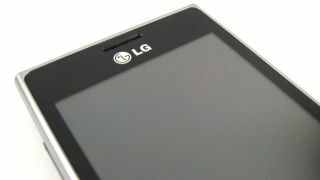 "The success of the Optimus L Series is testament to our belief all along that there is indeed a market for well-balanced smartphones that represent individuals' unique tastes," said Jong-seok Park, president and CEO of LG Electronics Mobile Communications Company, in a statement. "The new Optimus L Series II expands upon the device philosophy of the original series so we're quite confident that we'll have another hit on our hands." Is there anything remarkable about the L Series redux? Not particularly, but we'll reserve final judgement until we go hands on with the devices. Who knows, maybe next year we'll look fondly back on the L Series 2's blazing year while preparing for the Optimus L3 3...though that just seems confusing.